We are available at your convenience including evenings and weekends. The MDE requires 24 hour notice before we preform the lead inspection. The inspector will examine the property to insure that the paint is intact and shows no sign of failing. 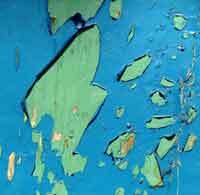 There can be NO signs of chipping, flaking or peeling paint in the interior and the exterior of the property. This includes any outbuildings such as a garage or shed. Properties with non-replacement windows (windows with painted surfaces) require TWO samples per room. One from a window sill and a second from either the floor or another window sill. The samples are then sent to an accredited lab for testing. 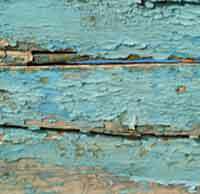 The federal government and Maryland have set guidelines for lead content in paint. When the lab results show that all samples taken meet the required standards a Full Risk Reduction Certificate will be issued to the property owner. The MDE also receives a copy and if you rent a copy is also provided for the tenants. Please give us a call we will make this easy, convenient and uncomplicated! • Make sure that no painted surfaces are chipping or flaking. Painted surfaces should all be intact. • Remove all construction-related debris from the site. • Ensure that the area 24”- 48” surrounding the foundation is clear of paint chips. • Thoroughly vacuum the interior of each assisted rental unit, ideally with a HEPA (see below) vacuum. • After vacuuming, clean all surfaces in the unit with standard household detergent, e.g., Palmolive or Simple Green. Change the wash water frequently to reduce the chance of cross-contamination. • Pay special attention to window sills, door casings, and flooring. • After wet cleaning, vacuum the entire area again using a HEPA or high quality vacuum cleaner. • Visually inspect the unit and the soil outside the unit to ensure that all areas are free of debris and dust.